An amazing opportunity has arisen for one of PASAI’s auditors to take the next step up on their career ladder. 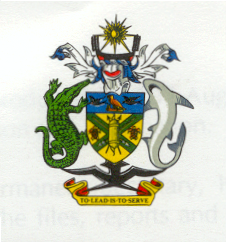 As part of their career development, PASAI auditors at a senior level are invited to apply for a one-year secondment as Acting Deputy Auditor-General (DAG) to the Solomon Islands. Working alongside AG Peter Lokay, the secondee will provide vital DAG services to the SAI, while also mentoring and upskilling a SAI SI team member to take on the role after the secondment. In an initiative jointly funded and organised by PASAI, the Australian Government and Solomon Islands’ OAG, the secondee will have all expenses paid for including flights, accommodation and a per diem allowance (and salary supplement if applicable ie if on leave without pay) while advancing on their career path. Applicants will currently be qualified auditors at a senior audit manager or DAG level, with a commitment to sharing knowledge, expertise and capacity-building in the PASAI region. Interested parties should apply with a full CV (including two referees of whom one must be their existing SAI head), along with a statement of suitability for the role by no later than 21 December. Click below to read about the opportunity and how to apply.